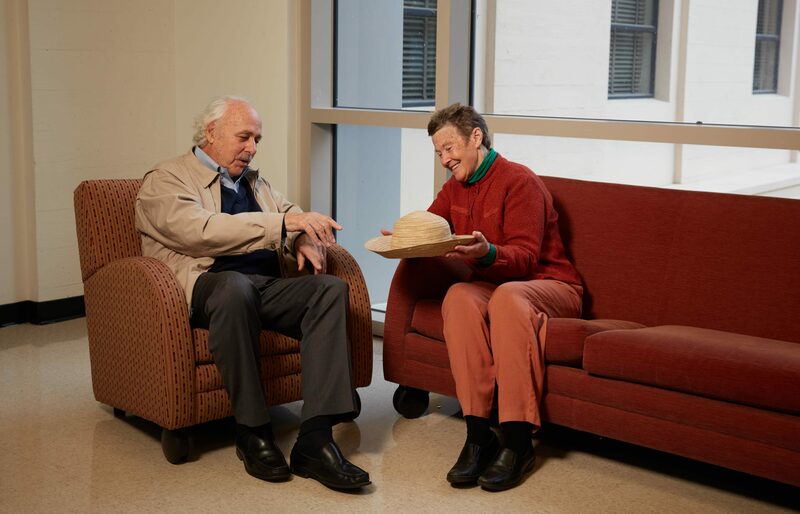 Four decades ago, Helen Quinn and Roberto Peccei took on one of the great problems in theoretical particle physics: the strong charge-parity (CP) problem. Why does the symmetry between matter and antimatter break in weak interactions, which are responsible for nuclear decay, but not in strong interactions, which hold matter together? Encouraged by Weinberg, who would go on to win a Nobel Prize in physics in 1979 for his work on the unification of electroweak interactions, Quinn and Peccei zeroed in on a CP-violating interaction whose strength can be characterized by an angular variable, theta. They knew theta had to be small, but no one had an elegant mechanism for explaining its smallness. They realized they could naturally arrive at a zero value for theta by requiring a new symmetry, now known as the Peccei-Quinn mechanism. Besides being one of the popular proposed solutions to the strong CP problem, Peccei-Quinn symmetry also predicts the existence of a hypothetical “axion” particle, which has become a mainstay in theories of supersymmetry and cosmic inflation and has been proposed as a candidate for dark matter. 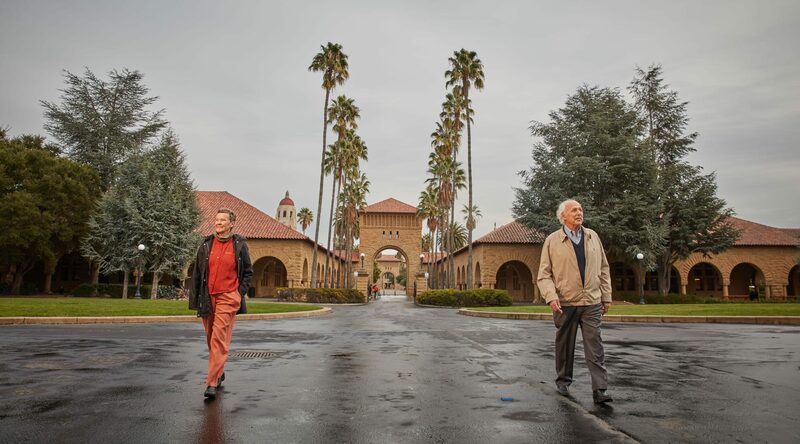 That year at Stanford, Quinn and Peccei regularly interacted with the theory group at the Stanford Linear Accelerator Center (SLAC) as well as with another group from the University of California, Santa Cruz. Big leaps in technology require big leaps in design ­– entirely new approaches that can take full advantage of everything the technology has to offer. That’s the thinking behind a new initiative at the Department of Energy’s SLAC National Accelerator Laboratory. To make sure experimenters can get the most out of a major X-ray laser upgrade that will produce beams that are 10,000 times brighter and pulses up to a million times per second, the lab has created a new position – head of experimental design at the Linac Coherent Light Source – and hired a world-renowned X-ray scientist to fill it. Paul Fuoss (pronounced “foos”) will look at LCLS and the LCLS-II upgrade from a fresh perspective and work with scientists and engineers across the lab to design instruments, user-friendly control systems and experimental flows that take full advantage of this technological leap. Although the upgrade won’t be finished until the early 2020s, there’s really no time to lose, said LCLS Director Mike Dunne. “We’re on the verge of a transformation of our science capabilities that is simply unattainable today. When you take these big leaps you have to fundamentally rethink how you approach the science and the design of experiments,” Dunne said. 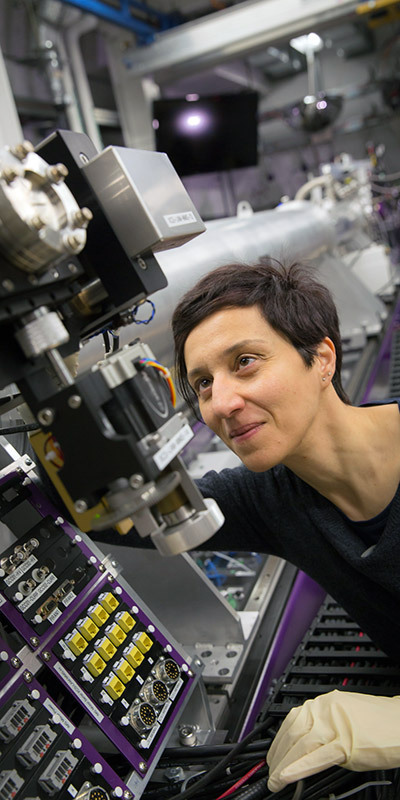 For Fuoss, the broader goal is to increase productivity and improve the experiences of scientists at X-ray light sources everywhere. One way to make working with LCLS more streamlined and intuitive is to incorporate user-friendly features into the instruments that come on board as part of LCLS-II. Another way, he said, is to create tools that let scientists visualize their data as it’s being collected, so they can understand what is going on in real time. Fuoss has deep roots at SLAC. Originally from South Dakota, where he grew up on a ranch, he earned a degree in physics at South Dakota School of Mines and Technology and came to Stanford University in 1975 for graduate school. He wound up doing his graduate research at SLAC, using X-rays from what later became the Stanford Synchrotron Radiation Lightsource (SSRL) to investigate materials. After earning a PhD, Fuoss went on to do research at Bell Laboratories, AT&T Laboratories and Argonne National Laboratory. He’s been an active user of SSRL and other light sources and has developed a number of new techniques for exploring materials with X-rays, many of which are now standard at light sources around the world; in 2015 he received SLAC’s Farrel W. Lytle Award for this work. Fuoss also played a role in designing LCLS. In the mid-1990s, while a researcher at AT&T Laboratories, Fuoss took a six-year detour into the world of human interface design and human factors research – the study of how people interact with technology, from airplane cockpits to your office copier. Back then, he focused on making telecommunications systems and web interfaces more user friendly. This experience can also be applied to LCLS experimental design. 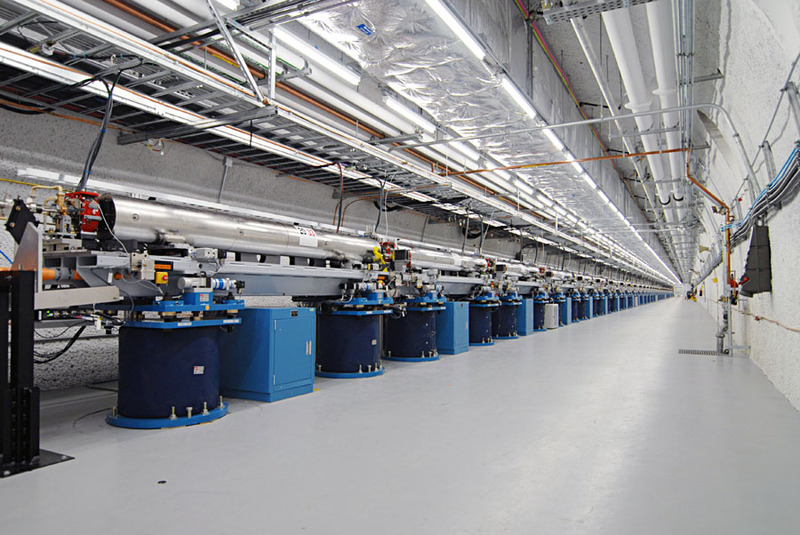 Unlike synchrotron light sources, which may have dozens of X-ray beamlines and many experiments going on simultaneously, the current version of LCLS has just one powerful beam, a billion times brighter than any available before, whose pulses arrive up to 120 times per second. In theory this limits the facility to doing one experiment at a time. But in the seven years since it opened, scientists and engineers have come up with a number of ways to get around that limitation, such as splitting the beam so it can be delivered to two or more experiments at once. At the same time, they reduced the down time between experiments by scheduling similar experiments back to back, so they don’t have to change out equipment as often. These and other measures increased the number of experiments run per year by 72 percent from 2014 to 2016, and LCLS recently passed the milestone of hosting more than 1,000 users per year. For instance, he said, finding a catalyst that turns nitrogen from the air into ammonia – considered one of the most important developments of the 20th century because it made the large-scale production of fertilizer possible, helping to launch the Green Revolution – took decades of testing various reactions one by one. “We need to know what the reaction is, and what are the most difficult steps along the reaction path, in order to even think about making a better catalyst,” said Jens Nørskov, a professor at SLAC and Stanford and director of SUNCAT. A reaction will seek out the path that takes the least energy, Ulissi explained, much like a highway designer will choose a route between mountains rather than waste time looking for an efficient way to go over the top of a peak. With machine learning the researchers were able to analyze the reaction pathways over and over, each time eliminating the least likely paths and fine-tuning the search strategy for the next round. Once everything was set up, Ulissi said, “It only took seconds or minutes to weed out the paths that were not interesting. In the end there were only about 10 reaction barriers that were important.” The new method, he said, has the potential to reduce the time needed to identify a reaction pathway from years to months. 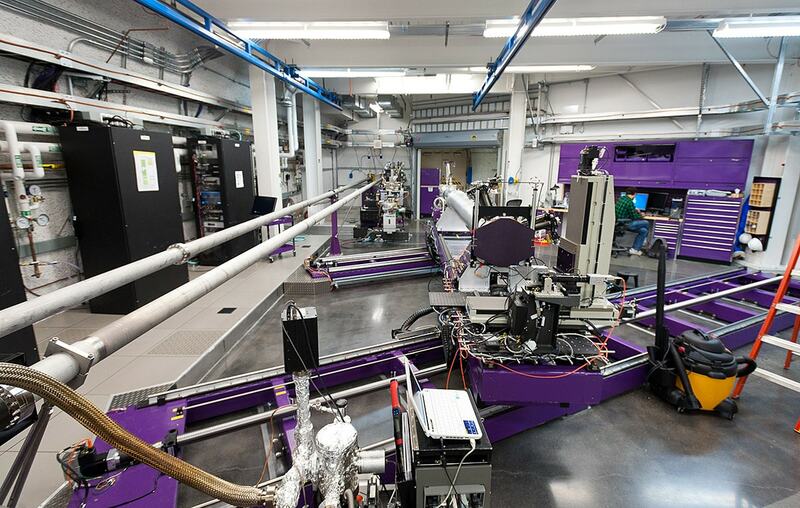 The Linac Coherent Light Source (LCLS) at SLAC allows scientists to see the world in femtosecond resolution. Click on the images below to take virtual tours of the Undulator Hall and the Near Experimental Hall (NEH) at LCLS. 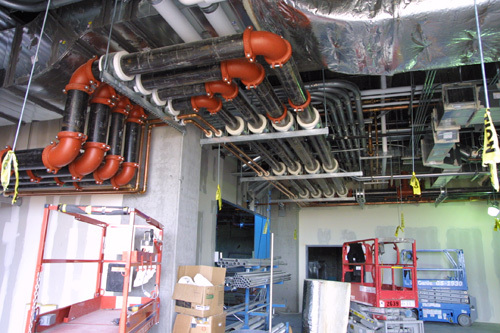 Also check out our LCLS album on Flickr for photos of the facility. Undulator Hall View the video images. Click on the blue circle to navigate. Near Experimental Hall View the video images. Click on the blue circle to navigate.